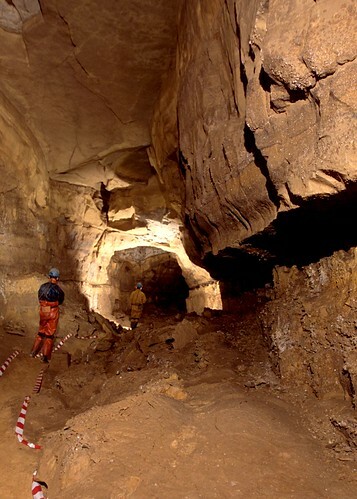 For a cave renowned for some of the largest cave passage in Britain, how come we spent most of our time underground either on hands and knees or flat-out? This was another trip organised by Brendan to explore parts of this system we hadn't been in before. I think he used the term, "an unspoiled and little visited area", now we know why! 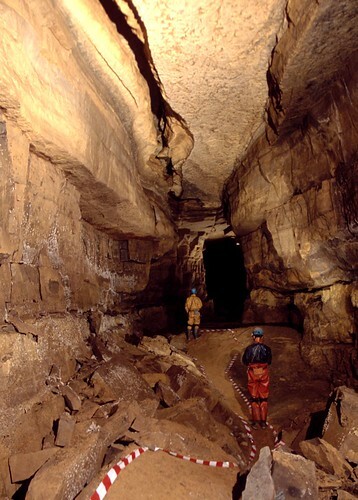 The area in question is called the Score which is entered via Back Passage - 25 minutes each way of pure caving pleasure. Seb Ballard and Keith Edwards in The Score. See more photos of Ogof Draenen here.